On a warm Monday evening I am watching the sunset fading away into the mountains. ‘Wouldn’t it be lovely to stay on a vacation forever?’, I think to myself. While most of us wish the same, we all know that’s not happening anytime soon. But instead, how about using the Caribbean influence in your home and feeling a little closer to the eternal vacation? Lets journey to the Caribbean and find out how we can make the beach vibe last forever! The Caribbean islands have seen an array of cultures throughout the ages. Implementing the varied cultural concepts into your interior design will have loads of bright and pop colour accents combined with sun bleached white accents. A distressed, rustic and beachy vibe completes the Caribbean feel. For all you indigo lovers, go wild with the use of batiks in your Living area to create an Island inspired space. Opt for handmade distress furniture and hand woven rugs. Lamps in rattan or cane add a rustic feel. Keeping the bigger elements like sofas and flooring to bleached whites balances out the beach feel. Add generous pops of colour through cushions, runners, rugs and some ravishing tropical greens! Did I mention about Green being the hottest Pantone shade for home decor this season? Make the most of this refreshing hue by opting for palm inspired printed cushions juxtaposed against monochrome or striped lumbars in black and white. Keep the bed linen in soft pastels or white to give a pristine island look. Not a fan of Green? try interesting contrasts for cushions and bed spreads like the above. Prints inspired from nature or traditional crafts give an exciting twist to the decor. Minimal and clutter free accessories is the key to achieving a non tacky Caribbean feel to your home. Opt for coloured handwoven baskets as a wall hanging or just a simple handwoven jute rug against the wall to create an eclectic breezy feel. Distress wood dining table and a pop colour sideboard completes the luxurious bay feel! Have some great ideas to share on Caribbean inspired home decor? Do tell us in our comments section. Why do Pharmaceutical Companies Continually Fail to Recognize the Importance of Market Research? The first thing to consider when discussing the role of market research within the pharmaceutical industry is the time from a new drug being developed to when it gets into the local pharmacy.This is quite different from other consumer lead industries. In these industries, market research forms the basis for everything from product development to marketing. In the pharmaceutical industry, market research is important, but some executives might treat it as an afterthought. They are wrong to do this as it market research is critical with the long research pipelines that some work is done to determine what direction that initial research takes. If we look at a new-product today it would make sense to forecast out 7 to 10 years to determine what diseases or medical problems or even advances may require a new product. So rather than leave it to serendipity, solid market research could determine where the research and development budget is best spent. Pharmaceutical products rarely sell themselves and pharmaceutical companies are a business that are maximizing these investments. The need for quality research is slowly being driven by poor pipelines and is against the backdrop of increasing pressure to perform while research budgets are squeezed. Now around 20 years ago, pharmaceutical companies brought many products with tremendous value to the public. That is because they were research centred businesses, for example Glaxo 20 or so years ago, it was referred to as the only university on the stock exchange. This has now changed and most of these companies from Novartis to Pfizer and beyond are run by accountants where it is about the bottom line. Consequently, that has caused a loss of focus in research and development groups and the rise in clinical research organizations taking up that slack. Also many of the older products are now out of patent and going generic. This is because of lack of focus when it comes to developing products with improved benefits and better outcomes than cheaper generic products.. Some companies are starting to place a high value on market research, but others have a “tick the box” mentality. Some individuals at these companies wonder if market research has any value at all. The best commercial organizations understands that market research leads to a competitive advantage. Certainly, when market research is done well it will drive better and informed decision making. That means in the long term research can be the foundation that ensures a commercially relevant product to the market at the optimal time. That circles back to companies looking out 7 to 10 years and adjusting accordingly rather than leaving things to serendipity. Alternatively, it helps avoid the need for buying businesses to fill a pipeline gap due to lack of understanding of the market. It requires key decisions at key times to develop products, and well-structured research results in the right input and information helps make those decisions. Many companies now have outbound focused marketing departments, who do not consider how research can help them make fundamental decisions. They do not always utilize the resources they have and then determine the direction and scope of research that is needed. The tick-the-box approach does not deliver substantial value. By staying in a tick-the-box mentality, companies are not able to fully deliver the type of customer insight nor target research and development needed to drive their business forward. However, in a world of declining resources more can be achieved with fewer resources by focusing on market research. The case has been proven not just in pharmaceuticals, but in other businesses where products have a long gestation period. Companies should be taking what they have and pairing it with a good understanding of market research. This would make it help companies focus their business in a different way, more a laser guided missile approach rather than carpet bombing and hoping you hit the target. The hallmark of good-quality market research falls into different areas, firstly, the research is purposeful and targeted. Any good researcher will have taken the time to think about and understand the business issues in the pharmacology areas the company operates within. That will naturally lead to a better understanding of what research is necessary to address those business issues. Another good idea is to do high-value research and collaborate on market research if possible. In summary, the pharmaceutical industry struggles in comparison to other industries in this vein. Other industries that do market research the best, like consumer packaged goods, have set the standard and established their market research organization as king. Their market research is applied and used contributing a tremendous amount of momentum for these businesses. However, in pharmaceuticals, the structure is very different as is the culture and the view of marketing in general. A marketer does not always consider customer insight as the first step in the marketing process because there is often a disconnect with the end user, the patient. There are solutions to this that are in being worked on throughout the industry. That will bring the patient closer to the pharmaceutical businesses but whether that works is not down to the technology but totally related to how marketing and market research is seen by the companies themselves. This is a guest blog feature from Ewart Richardson, Global Head of Pharmaceutical, Science and Engineering Partnerships at Search Digital. He is also a regular speaker at international conferences in the USA, Germany, Spain, Switzerland, China, UK, and beyond. I decided it might be interesting to analyze the tweets of the main political players in the run-up to Super Tuesday. The methodology was simple, follow their official twitter accounts and then analyze the tweets for emotional word content. 1029 tweets from official twitter accounts for Bernie Sanders, Ted Cruz, Hillary Clinton and Donald Trump were collected. The collection started on February 23rd and continued through to midnight February 29th, the day before Super Tuesday. A breakdown of the volume of tweets per politician is shown on the right. Obviously, there were a huge amount of other tweets relating to the individual politicians but I wanted to see what their core message was in terms of the use of emotionally related words. It’s of note that Cruz , the youngest of all the candidates analyzed , sent out the most number of tweets, followed by Sanders. Cruz was also the only one to use no capital letters in his screen name “tedcruz”. Words were categorized using 8 types of emotion, which could overlap. The types were fear, anger, sadness, disgust, anticipation, surprise, joy and trust. It’s an approach which treats text as a “bag of words”, no attempt is made to parse the text for grammatical constructions in this case. For our candidates, we see some subtle differences. Both Trump and Cruz share the same level of “positivity”, with a score of 59% but it would be useful to remember nothing is exact with any analysis of language. Cruz uses fewer words that are classed as emotional words in total, yet with more tweets overall. Here we see a different pattern. Levels of positivity are slightly above those of Cruz and Trump at 64% for both candidates with Clinton using less emotional words overall in a similar way to Cruz. The top three emotional categories for Clinton and Sanders are trust, anticipation and joy. For Cruz the top two are trust and anticipation. In contrast, Trumps’ top two categories are trust and joy. Trump and Cruz also differ in the third highest. For Trump, his third category is sadness, for Cruz fear. Bag of words approaches to text analysis are well established in the realm of content analysis of huge text collections. It’s interesting to see that they might have some application to smaller problems. The key point to remember is that this is one way of looking at text, there are many more. None of them can be said to be correct, it all depends how useful the results are. Andrew Jeavons is Founder and CEO of Mass Cognition – a company that specializes in helping clients understand the deeper meanings in text and social media data. He was previously the CEO of Survey Analytics, a major survey software vendor serving Fortune 500 customers and the international community. He was one of the founders of e-tabs and has a (too) long history in the market research technology industry. He is a well-known award winning speaker and blogger. Remodeling and selling homes is complicated enough as it is. Fortunately, technology is making it a whole lot easier. Here are some of qSample’s favorite apps for getting the job done (some feedback provided by our contractor and home buyer online panels). Homeselfe gives you a step-by-step walkthrough of your home to help you check its energy efficiency and search for problems. That new ultra-efficient furnace isn’t going to do you much good if all the heat is escaping out the walls, right? You don’t need to patch up anything you’re going to be replacing in the near future, but otherwise, patching up the house is a great first step for any major remodeling project. It might improve the sale value, too. There are a lot of tools needed to remodel a house, but many families don’t own a full toolkit. You could go out and buy all of them by yourself… or you could get a digital version of some of the most-used tools. Note that this won’t replace physical tools (like hammers), just several of the most common measuring tools. This handy app focuses on digitally redesigning rooms, allowing you to get a better sense of what an area would actually look like if you remodeled it in a certain way. This sort of “try before you buy” setup is extremely helpful for ensuring the final design is something you’re going to be happy with, and it’s currently available for free. When you’re remodeling your home, there are a lot of different measurements you’ll need. For example, how much paint will you need to cover the walls, and how much carpet is going onto the floor? This calculator helps you answer those questions, and comes with some shopping list features to help make sure you buy everything you need for the project. 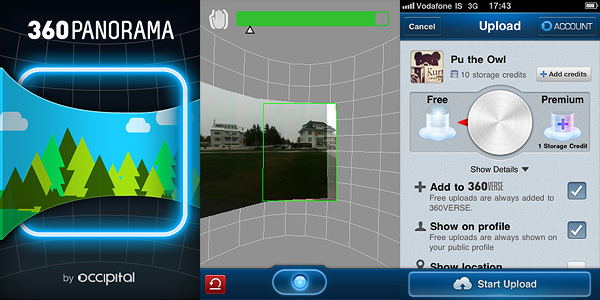 This useful application stitches images together to create a 360 panorama view of a given area. One shift we’ve seen in the housing market is that people want to quickly and easily take a look around the home – without necessarily having to go to the trouble of actually visiting the house. Apps like this can help you reach that particular crowd, and might just result in a faster, easier sale. Really, the whole Zillow series is useful, but the Mortgages one is especially helpful when you’re talking price. Pulling this out in a meeting with a potential buyer helps you talk budget and see what they could reasonably afford to pay. If buyers know that a home is affordable, they’re more likely to follow through and seal the deal. “But this has nothing to do with selling houses!” you say? That, my friend, is where you’re wrong. You’re going to be signing a lot of papers during the process of selling a home, and apps like this one give you the chance to do most of that signing digitally. This is especially helpful when documents need to be submitted by a given deadline and you’re busy dealing with other matters. Speaking of paperwork, there will also be times when you have to send it to others. JotNot Scanner is one of the most reliable scanning apps available, and it includes a variety of messaging systems (including fax) to get your paperwork where it needs to go. Uma Campbell is a green loving yoga instructor and freelance writer. She currently lives in Southern California where she enjoys writing about natural living, health, and home design. For more information, please visit the Uma Campbell Blog. Home remodeling projects can be a great way to get more enjoyment out of your home. After all, this is a place you’ll be spending years and years in: why not make your home exactly the way you want it? Makes sense. However, while it’s certainly worthwhile to invest in the improvements that you’ll truly love, if you’re looking for a return on your investment or hassle-free upgrades, there are definitely a few projects you’ll want to avoid. If you work out of your home, then a cozy home office may seem like a great idea. The problem is when this project gets a little too out of hand it actually turns the room into an office copycat, with big built-ins, major tech equipment, and other very specific, single-use purchases. When selling your home, having a home office that can’t be easily converted into another type of room will likely detour potential buyers, and it certainly won’t add to your space’s overall value. So, while you should go ahead and invest in a nice desk and an ergonomic chair, keep the major construction to a minimum and make sure all of your additions can be easily undone. Over the years you’ll need to replace appliances, fix up the water heater, or make other basic improvements. Because these aren’t glamorous remodels, you may think about going with the cheapest, easiest upgrades, rather than energy-efficient options that have higher up-front costs. This is a huge mistake. Energy-efficient appliances and fixtures in your home are extremely attractive to potential buyers, and you can often get tax credits to help defray the initial costs. Plus, not only can energy-efficient upgrades like Energy Star appliances, solar water heaters, low-flush toilets, and fiberglass windows help save you money on your energy bills, energy-efficient upgrades tend to have longer lifespans, so you shouldn’t have to replace your investments for a long, long time. This one might be a surprise to some people. After all, won’t turning your garage into a recreation room, craft space, or other area increase the value of your home by increasing the livable space? Well, not really. For one, potential buyers would rather have a place to put their car than a playroom or another entertainment area. Plus, turning the garage into a very specific, single-purpose room can be a downright deterrent, because what may be a useful upgrade to you might very well be useless to most buyers. Plus, garage remodels can be extremely expensive and require major construction and contracting work, which can often become logistical nightmares. Save yourself the trouble and keep the garage a garage. If you have a very small home, building an extra bedroom and bathroom might be a great investment. However, if your house is an average size for your area, then adding extra space can actually be a costly mistake. While few people want a home that feels too small, many people also don’t want a home that’s too big, as this leads to higher bills and higher overall living costs. Before you decide to make this major change, take stock of your neighborhood and get a sense for how your home fits in. If you’re on the smaller side, make the leap. If you’re already in line with the standard, then we suggest staying put. While palatial kitchens used to be en vogue, this upgrade can be lost on potential buyers who don’t spend as much time in the kitchen as you do. If a kitchen upgrade is truly important to you, pick one feature you really want — like a professional stove, oversized island, or fancy appliances — and just focus on that rather than doing a total overhaul. If you go whole-hog, be prepared to see very little money back for this investment. Empathy is a declining trait according to Psychology Today: “College students today are approximately 40 percent less empathetic than they were just 10 years ago.” Today’s values involve a lot of quick judgments and little understanding. Without empathy, marketers would find themselves solely in the domain of quantitative research and rarely connect with their clients or customers. They must continue to search for their audience’s needs and decipher which of those needs is most crucial. Generally and overall, companies are becoming more empathetic and are making it a priority to create an office culture that reflects their caring attitude. It is common to see “company teams” run marathons, create fundraisers, and sponsor charitable events. This, of course, is a great way to cultivate team empathy needed to do great work for the greater public. qSample understands this. Our work would not thrive without empathy. We specialize in hard-to-reach audiences, one of them being veterinarians. There are only 100k veterinarians according to AVMA, compared to the almost 1 million physicians in the US. As the trends rise of pet parents, brunch with pups, and organic food for pets, so does the need for veterinarians’ insights. To get a better understanding of our panel—and instead of donating money as in the past—we volunteered for the biggest no-kill-animal rescue shelter in Chicago, PAWs. It’s not until you are able to talk to the veterinarians, volunteers, and sponsors at PAWs events that you begin to see the tangible importance of the panel. A deeper understanding of what goes on in the pet world came to fruition when we attended their 8k run and their PAWs baseball outing. We began to see the value veterinarians’ acumen brings to the 80 million dog owners and the 90 million cat owners in the US. With a richer background, understanding of veterinarians, and the pet world, we now know how to cultivate our panel to the best of our ability to help our companions. Sometimes we are asked, “why do you have a veterinarian panel?” or “what insight would our panel have for companies?” It’s because of empathy and the need to better understand those who cannot tell us how to serve them better. 170 million combined “pet parents” care, and if we can help veterinarians, pet companies and pet owners gain just little bit more insight on how best to serve our animals going forward, we’ve done our job. One will find CEOs, entrepreneurs, and Hollywood stars all turning to a new trend: yoga and meditation. After years of skepticism, only recently is this trend seen as a holistic way to cure some of the world’s most common ailments. Yoga has shown to help reduce stress, depression, anxiety, and in some cases chronic back problems. This alleged mysticism has certainly made me a better professional—and I’m not alone in this as yoga is not alone in being backed by medical science. According to the Sports & Fitness Industry Association, more than 24 million U.S. adults practiced yoga in 2013, up from 17 million in 2008 (making it roughly as popular as golf). Many companies are offering classes to help their employee’s de-stress. In addition, many physicians are recommending it as a pain management treatment. Yoga can even be looked at as a way to understand market research. Take a minute and get some insight on big market research topics and how one can connect the mind, body, and soul to it. This is akin to the main findings in big data. When conducting an analysis one must be sure that the data files are consistent with one another. Any inconsistencies (e.g. numbers included) should be explained. Meditation and yoga go hand in hand in their goal of a clear path of reasoning. In the typical yoga class, one will persistently hear the instructor coo, “Focus on your body and let everything else go.” Much like trap questions in surveys, this is done so to refocus participants and help keep them on task. Trap questions are safeguards in the form of unrelated questions, sprinkled at certain intervals of the survey. This hopes to adjust the focus of respondents or remove those who have no interest in providing usable data. Like trap questions, yoga uses meditation before and after class to help students focus their attention on their movements. In Western culture, the word ego refers to characteristics that often make someone seem intolerable in the eyes of others, such as arrogance, selfishness or and an inflated sense of self-importance. One of the goals of yoga is to be able to control and point out when the ego surfaces. When conducting surveys, removing respondent bias is important to gain useful data. One of the most common biases in surveys (like in our ego) is social desirability. People like to present themselves in a favorable light. They will be reluctant to admit to unsavory attitudes or illegal activities in a survey. Instead, their responses may be biased toward what they believe is socially desirable. Yoga attempts to cut that by preaching that inner acceptance and control of the ego is part of the yogic process. After a day chained to a desk and dealing with outside stresses, yoga is often used to revitalize the body. An evening performing yoga helps release the day’s tensions and fatigue. Like yoga in market research, it is paramount to eliminate respondent fatigue in the survey experience. Getting information from the participants is important. However, one cannot overload respondents with surveys with long questionnaires, long matrices question blocks, or complicated wording. While in yoga, the body is always aware of its aches and pains as it stretches and relaxes. With these issues in mind, one can conclude that yoga helps eliminate fatigue, just as researchers should avoid fatiguing their participants. There is a reason why almost 10 percent of Americans have turned to yoga. Many people like me in high-stress jobs tend to turn to this as a method to reduce stress and to add to their overall physical fitness. There are claims after claims that yoga helps connect oneself with the world, and part of that world may involve sessions of meditative market research. Email subscribers are most frequently lost as people either lose interest, change their work places, in some cases because of closing their accounts, but quite often due to overly spammy newsletters. Anyone who has built their list for several years, will know how important it is to keep the list clean, if only to be able to get rid of poor marketing metrics. On top of helping you with keeping your metrics clean, in the recent years we’ve seen a drastic change to the algorithms of email spam filters. Back in the day, spam filters uses the written content and subject lines to determine the quality of an email, however in the recent years it has expanded to other areas. A list that’s populated with outdated (inactive) email addresses is going to be suspicious one way or the other. It doesn’t just affect you short-term either, a list that hasn’t been cleaned for years has the potential to be penalized by email delivery services and have lowered sender score, crucial to having all your emails sent out on time. In this column, we’re looking at ways of keeping our lists clean and tidy. In email marketing, a hard bounce happens when an email is failed to be deliver within 48 hours or more. These days, a handful of email marketing software providers have in-built tools for allowing you to clean your list of these hard bounce emails, while some will do this for you on automated basis. – Recipient email address does not exist. – Domain name does not exist. – Recipient email server has completely blocked delivery. Before your next campaign, make sure that you know how to clear your hard bounces, and then develop it into a regular habit. It’s one of the best ways of keeping your sender score and your domain protected for credibility. Technology is clever, but not everything is possible to automate. In your email list, you’re bound to find emails that stem from typos, auto-correct mistakes, and other similar traits. Truthfully, there is a very likely chance that a good portion of your subscribers have provided either an invalid email address, or misspelled it. This will hit the hardest those who don’t opt for a double opt-in process. In that respect, it’s a good idea to perform a manual scan of your email list at least once a month, look out for emails that have the “.com” or “.net” misspelled, are missing the “@” symbol, or have the name and domain as numbers; frequent spammers. The best way to protect yourself from this is by enabling a double opt-in feature which will make users verify their email addresses, and won’t be added to the list until they do. they might not be ignored always, but the lack of engagement with these addresses has been known around the email marketing community, and besides — you can always check the engagement for yourself, avoid damaging your sender score with poorly treated emails. Three months, six months, a year. It seems that a lot of email marketing experts have a different opinion on how long to keep a part of your email list active. If you’ve got some segments laying around that you haven’t emailed in a while, perhaps before letting them go — a reengagement email to ask for their input is a good idea. If their email account is still functional, there’s a chance they might want to stick around; or unsubscribe for good. Keep your reengagement emails short and sweet, let them know about your latest ideas, let them know that you’d love to have a conversation with them. It’s an easy way of letting them know that you care about them. Your list should always be in top-notch condition, which means that your list is segmented in a way that reflects the overall engagement of each individual list member. A modern email marketing platform will usually have this feature by default, so there isn’t all that much work left to do; other than organizing and analyzing. The subscribers who open all emails are the top dollar, and should be prioritized straight away, subscribers who have decided to open fewer emails, should get a taste of something different once in a while; just to spark their interest. In a recent update, Pardot mentions keeping your email lists as one of the top priorities this year, emphasizing how important list hygiene and data quality are to your sending reputation. qSample Guest Blogger: Alex Ivanovs is an online entrepreneur with the focus on building highly-engaging content sites in the field of business, technology and development. You can find his most recent work at CodeCondo; an aspiring community of tech-oriented minds. He is also a contributor to the Huffington Post. How Much Control Do We Really Have Over What We Buy? While you’re looking for gifts for those special people in your life this holiday season, keep in mind that you’re constantly being manipulated by retailers who’ve studied every bit of consumer data, read every book, and consulted with psychology experts on the art of subconscious coercion. How do they accomplish this? They attack your senses to sell you more stuff and, through the most tactful ways, get you to fork over more money for that stuff. According to leading neuroscientists, 95 percent of all thoughts, emotions and learning occur before people are cognizant of it. Therefore, most of what goes into our purchasing decisions can be attributed to our subconscious. Visual perception influences our buying decisions the most. KISSmetrics found that nearly 93 percent of buying decisions are based on visual stimuli. Six percent was based on touch and the remaining was divided up into sight and smell. Consider the following study conducted in 2012 by the Journal of Consumer Research on eBay which looked at how different colors affect purchasing habits. Researchers found that using different color backgrounds while offering the same product (Nintendo Wii) elicited different responses. Red backgrounds led to more aggressive bidding. Bids jumped an average of $63.17 versus $35 for those looking at blue backgrounds. “When we’re bidding in an auction, the red effect isn’t something we can protect ourselves against because we’re not conscious of it,” said study co-author Rajesh Bagchi, an associate professor of marketing at the Pamplin College of Business at Virginia Tech. Warm colors (Red/Yellow/etc.) are suitable to attract impulse buyers. Rarely will you see a sale sign that is Blue at any big-box store. Cooler colors (Blue/Green/etc.) are for customers with a buying plan, IE financial planning, insurance, etc. Many retailers have been leading us by the nose for years. The human Olfactory bulb, which processes various scents, is linked to the brain’s limbic system. The limbic system is responsible for processing emotions and memories, which plays directly to our purchasing behavior. The least studied sense as it relates to buying by academics is touch. However, researchers say that touch or ‘feel’ can be a deal breaker when deciding on lucrative purchases. Apple takes advantage of the touch factor by making sure all of their laptops are open to a 70 degree angle. Why? This is open enough to have content semi-visible and entice potential users in. Apple employees actually use an app to measure the exact angle during set-up time. You may also notice that most retailers play music. This is because research studies have shown by playing music in stores, they can influence patrons to behave accordingly depending upon which emotion they’re looking to trigger. Scientists say music affects your heartbeat and brainwaves. This triggers the release of dopamine, which affects your mood. Music has the likelihood to bring out emotions, which highly influences our behavior regardless of how actively or passively we’re listening. Loud music causes consumers to move through a supermarket more quickly without reducing sales. Victoria’s Secret uses soothing slower music to facilitate discussion with sales reps. Classical music versus Top 40 music at a wine store was shown to increase sales and leads customers to buy more expensive merchandise. Since manipulation by retailers during this holiday season is inevitable, shopping online might be the best way to limit the clandestine attack on your senses. Online shopping has a limited sensory experience as customers can only use their senses of sight and hearing. Mobile Users, Gamers, Doctors, Contractors, Home Owners, Students, Baby Boomers, Veterinarians, and Pet Owners to name a few. A staple of any contended election year can be found in the form of non-stop attention grabbing political ads. The frequency in which a specific audience is inundated with these ads is always dependent upon how close various political races are. Not too many counties in the United States are more exposed to political ads than Orange County Florida. Orange County is located along the pivotal Interstate 4 corridor, known as the swing part of the state. Many close elections are won or lost depending on the voting outcome along the corridor. Most notably, or dubiously, the 2000 presidential election. Voters here are seen as particularly savvy. They traditionally split their votes among the different among various partisan lines on the same ballot. qSample sought to get insight into voters from Orange County to get their general sentiments on issues ranging from their approval of certain branches of the government to foreign policy, heading into yet another highly contested election year. More than 350 Orange County registered voters from qSample’s Voter Panel sounded off. Foreign Policy has been dominating the media coverage over the past two months for all the wrong reasons. Interestingly with all turmoil abroad, 43 percent of participants reported, “America is as involved as it should be in what’s going on with the rest of the world.” 25 percent believed the U.S. should be involved more and 32 percent believed less involvement would be best. The survey delved further into two specific conflicts abroad, Palestine/Israel and Russia/Ukraine. The overwhelming majority believed the U.S. is involved as much as it should be (43 percent and 47 percent respectively). A healthy minority believed the U.S. was involved too much already in these specific conflicts (30 percent and 23 percent respectively) The remainder wants the U.S. to be involved more. Another interesting finding from the study came on respondents attitudes towards immigration, which affects the area in many ways. More than 10 percent of refugees from the U.S.-Mexico border end up in Florida and Orange County has a sizable number of refugees. An overwhelming 50 percent of respondents believe America needs to have stricter policies on immigration. Nationwide, the dissatisfaction with all the government branches has grown substantially since 2012. The results from the survey echo these sentiments loud and clear. Respondents were asked to rate on a 1 to 10 scale their level of satisfaction with each branch of the government. The respondents were most harsh in their assessment of Congress. More than 56 percent rated their level of satisfaction with congress a 1. Only five percent rated it higher than a 5, giving congress by far the worst average, 2.2, among the three branches. 26 percent of respondents rated their level of satisfaction with the Supreme Court a 1 (average rating was 3.9). Ratings varied much more for the respondents level of satisfaction with the President who had an average rating of 5.1, but the majority, 28 percent, rated their level of satisfaction a 1. Mobile Users, Gamers, Doctors, Contractors, Home Owners, Students, Baby Boomers, Veterinarians, and Pet Owners.